Civil litigation with a focus on intellectual property disputes in the entertainment and technology industries, including copyright, trademark, trade secret, and right of publicity disputes. Representing one of the world’s first independent developer and distributor of video games in a high-profile trademark dispute in the Southern District of New York involving challenges to the realistic depictions of the military vehicle, HUMVEE, in Call of Duty. Lead counsel in the successful representation of Blizzard Entertainment, Inc. and Valve Corporation in a copyright infringement suit against uCool and Lilith involving many of Blizzard Entertainment, Inc.’s high-profile video games such as World of Warcraft, Diablo III, and StarCraft II: Wings of Liberty. Successfully obtained $10 million monetary judgment as well as a permanent injunction on behalf of Riot Games Inc. against the makers of cheating software designed for Riot’s League of Legends video game. Successfully opposed request for temporary restraining order which sought to prevent chess-related websites from reporting on the 2016 World Chess Championship; obtaining a ruling that Plaintiffs were unlikely to demonstrate that their claim for “hot news” misappropriation was not preempted by the Copyright Act. Obtained $90 million settlement for five major record labels against internet radio giant Pandora Media Inc. based on copyright violations for its use of pre-1972 records. Obtained $210 million settlement for five major record companies against Sirius XM Radio Inc. based on copyright violations in broadcasting pre-1972 recordings without permission. This case was named by The Recorder as 2015’s #1 settlement as well as the top case in the category of Intellectual Property. Obtained summary judgment based on First Amendment grounds in favor of Activision Blizzard, Inc. on copyright and trademark infringement claims brought by a military supply and outfitting company regarding the use of certain patch emblems in the video game Call of Duty: Ghosts. Obtained summary judgment in favor of video game publisher and hardware manufacturers in trademark lawsuit involving the popular video game Call of Duty: Modern Warfare 3. Obtained $7 million judgment on behalf of Blizzard Entertainment, Inc. against the maker of a popular software "bot" that enabled users to cheat in the video game World of Warcraft. Obtained summary judgment in favor of Blizzard Entertainment, Inc. on copyright and right of publicity claims arising from a set of recordings used to voice a World of Warcraft character. Represent 12 affiliated record companies and music publishing companies in a copyright infringement action brought against the internet website Vimeo.com. Represent publisher of a popular multiplayer online video game in lawsuit against operators of private multiplayer servers. Successfully defended internet magazine BoingBoing.net against defamation claims brought by a manufacturer of VOIP technology regarding statements published about its end-user license agreement. Represent Japanese manufacturer of personal computers in lawsuit brought by software publisher arising from a Chinese government mandate concerning the software filter known as "Green Dam." Represent record company and music publisher clients in more than 100 related copyright infringement cases arising from the alleged unauthorized “sampling” of musical works in musical compositions and sound recordings, including Bridgeport Music, Inc. v. WB Music Corp., 508 F.3d 394, 399-401 (6th Cir. 2007); Bridgeport Music, Inc. v. Universal-MCA Music Publ’g, Inc., 481 F.3d 926, 931 (6th Cir. 2007); and Bridgeport Music, Inc. v. Rhyme Syndicate Music, 376 F.3d 615 (6th Cir. 2004). Represented MPAA member companies against software company engaged in the manufacture and distribution of DVD-copying and decryption tools. 321 Studios, Inc. v. Metro-Goldwyn-Mayer Studios, Inc., 307 F.Supp. 2d 1085 (N.D. Cal. 2004). Participated in groundbreaking file-sharing litigation on behalf of the Recording Industry Association of America, including A&M Records, Inc. v. Napster, Inc., 239 F.3d 204 (9th Cir. 2000) and In re Aimster, Inc., 334 F.3d 643 (7th Cir. 2003). Represented music publishing companies in lawsuits filed against distributors of karaoke products, including Mediostream, Inc. v. Warner/Chappell Music, Inc., Case No. 07-2127 (N.D. Cal. ); Rondor Music International, Inc. v. Slep-Tone Entertainment Corp., Case No. 02-9377 RSWL (C.D. Cal. ); and Rondor Music International, Inc. v. Top Tunes, Inc., Case No. 02-9382 WJR (C.D. Cal.). Represent motion picture studios, book and magazine publishers, and screenwriters in copyright infringement action involving the award-winning work Brokeback Mountain. Scott-Blanton v. Universal City Studios Productions LLLP, Case No. 07-0098 (D.D.C.). Represented record companies and music publishing companies in numerous royalty accounting and audit disputes, including Bono v. Warner/Chappell Music, Inc., LASC Case No. BC 329720; House of Penny Productions, Inc v. MCA Records, Inc., Case No. 3:00-0326 (M.D. Tenn.); and Tempchin v. Warner/Chappell Music, Inc., LASC Case No. BC 268741. Represented record companies and music publishing companies in litigation involving unauthorized uses of sound recordings and musical compositions in audiovisual works, including Warner/Chappell Music, Inc. v. Salter Street Films, CV-03-7113 FMC (C.D. Cal.) and UMG Recordings, Inc. and Warner/Chappell Music, Inc. v. Mazda Motor Of America et. al., CV-00-05858 LGB (C.D. Cal.). Provide ongoing legal advice and counsel to motion picture studios and record, music and game publisher clients concerning a variety of intellectual property and new technology issues, including the safe-harbor provisions (section 512) of the Digital Millennium Copyright Act, fair use, and common-law doctrines of contributory and vicarious copyright liability. 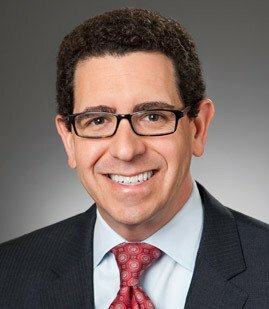 Marc Mayer Named to The National Law Journal's 2019 List of "Intellectual Property Trailblazers"
Marc Mayer Named to The National Law Journal's 2017 list of "Intellectual Property Trailblazers"